Outstanding deals remain for the upcoming "20/20 Experience" concert tour featuring star Justin Timberlake. Great prices on premium Justin Timberlake tickets are now available at Epic Nation Tickets. 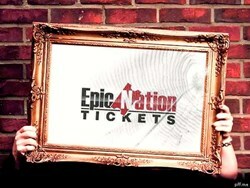 For fans looking to purchase premium Justin Timberlake tickets, look no further than the most competitive secondary market ticket broker, Epic Nation Tickets.